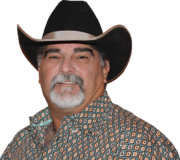 Billy has been in the real estate business for 13 years specializing in ranch, hunting, and recreational properties in the North Texas area. Before that, he worked for over 20 years in the oil & gas industry. His extensive knowledge of the North Texas landscape, will assist clients in finding the specific properties that they are seeking.